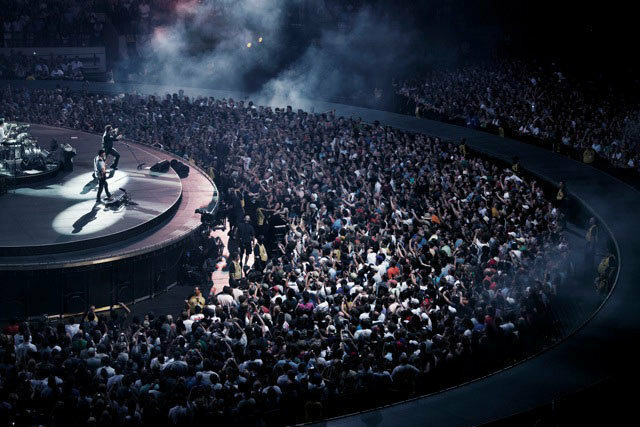 U2 > News > Live From Montreal! Tonight we're carrying live audio from the second show in Montreal and streaming the opening three tracks for all our registered members. (Scroll down to find the audio player). If you're on the move, you'll also be able to listen on an iPhone/iPad or Android device. Log-in before 8.30pm Montreal time, and catch the opening of the show. Scroll down the page (or open a new window and click on the Community tab above) to join the conversation with fans around the world and those at the show, hosted by one of our Zootopia Mods U2Bigwave. U2.com (paid) subscribers can hear the whole of the show from Montreal here.